Power Ten supplies are the first choice for semiconductor burn-in systems worldwide and are providing solutions to high power DC voltage requirements in many other diverse applications. cost-effective switching technology – including pulse width modulation (PWM) and zero crossing topology to achieve both high-efficiency and high-density packaging. 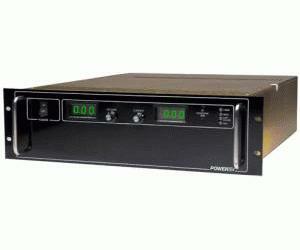 A 10 kW model is available in a 5–1/4” high (3U), rack mounted configuration. Product quality starts with engineering as a design criteria and is ensured by our highly trained staff of manufacturing and test personnel. Long-term reliability is achieved by care in the derating of components combined with a conservative approach to mechanical and thermal design.